Dietary supplements are a great way to supplement your current nutritional plan and to make certain that you are getting the vitamins and nutrients that your body needs. Daily supplements are a great way to keep your body healthy, whether you simply want to take better care of yourself or if you need the nutrients and energy to handle a rigorous workout. If you are generally a healthy individual and you eat a quality, well-balanced diet, you may not need supplements. However, if you don’t eat a balanced diet, consume less than 1,600 calories a day, or if you are struggling with a few different side effects, then you may need daily supplements. Women who experience heavy bleeding during their periods, individuals with chronic diarrhea, food allergies, liver disease, or suffer from digestive tract issues are all ideal candidates for daily supplements. Look for labels that provide you with a way to contact the company directly. You should have someone to call if you have any concerns or questions about the product. This is the best way to make certain that you are buying a product from a reputable manufacturer. Choose a supplement that actually comes from an actual nutritional company. Avoid buying “store brand” versions of supplements, as you want to be certain you are buying daily supplements that have been tested under strict regulations. The product should be made in the United States as other countries such as Canada may have less strict regulations in place than in the U.S. Try to avoid “megavitamins” if possible. These new supplements have become increasingly popular, but they may contain too high of a dose of certain vitamins or minerals. This can be both harmful and a waste of money. Try to avoid mixtures that contain many different supplements, at least at first. If you have never taken supplements before, then you may have a bad reaction to one of the ingredients. The more ingredients that are in a daily supplement, the harder it can be to determine which element may be causing the side effect. You should only start with one product at a time and note any side effects. Read the labels. Never purchase a daily supplement that says it has “no side effects” or that it is a “quick cure” for something. A supplement should be something that, as the name suggests, supplements your current diet plan, not a “cure” or “” This is a sign that you may not be purchasing the right product. 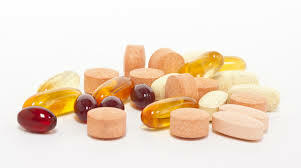 If you are considering a daily supplement, then it is important that you take the time to talk to your chiropractor or health care provider, to make sure that you are making a smart decision and taking the right supplement for your individual health care needs. You should always talk to a professional before you start taking any supplement. Even though supplements can be a great addition to your current healthcare routine, they aren’t always good for you.